"Thank you for the vote of confidence. I wish my bride&apos;s father were so inclined." "Your bride&apos;s father is a superlative horse&apos;s arse, who deserves a sound beating." Toad laughed. "Had I said that three months ago, you would have defied Parliament to strip me of the duchy." "That is likely true. Now then, your mother asked that in recompense for the many hours I have spent corrupting you, I ask you to carry on a more wholesome tradition I can no longer honour." "I began it after I lost your mother the first time, when I travelled the Continent avoiding her, but I continued once I came to my senses and returned to England to marry her." "I save a portion of my dances for wallflowers. Or I did, when I could reliably dance most of the sets." "You do? I never noticed that." "I do not make a spectacle of it; never the supper dance, and never more than two dances in any one Season with each young woman. I do not wish to engender any tender feelings in the ladies, but rather to show them worthy of a man&apos;s notice. The plainest girls are made beautiful by a bit of self-assurance, and the impact of one public dance with a duke, or a ducal heir, cannot be overstated." "Your Grace, I am a bit bowled over by the idea you have been dancing with wallflowers as a personal duty for more than two decades. Why did you never tell me this while you were introducing me to opera singers?" Wellbridge winced. "Because I am an idiot where my heir is concerned, your mother informs me regularly. I never expected you to take up my traditions. I have told your mother since your first dance lesson: you cannot learn to select and woo a young lady properly with your father or mother choosing your dance partners, and I stand by it. But, if I can teach you one more thing about women before the end of my life, let it be this: It costs nothing to show kindness to someone who does not believe herself worthy of note. Had I not looked past your mother&apos;s terror of London ballrooms, I would have missed out on the best part of my life, and there are plenty of young ladies just as worthy as your mother, who might not otherwise be remarked. You are an adult, my boy; you may choose to take on my charge or not, as you wish, though if you do not, I will allow you to be a man and tell your mother why." 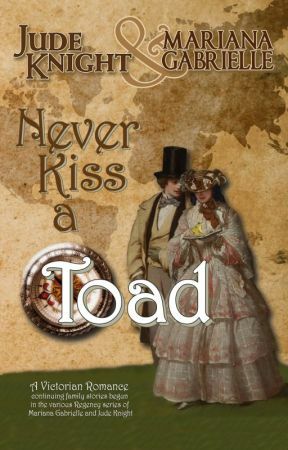 With a sly smile, Toad asked, "Will you be in the duchess&apos;s bad books if I don&apos;t agree?" "Perhaps. But if I am, you will be, too, and I can no longer fence with her. I leave the swordplay to you." Toad groaned. "I suppose it will not be so bad to dance with wallflowers." "No, it will not. You may find, as I have, that they often have very interesting things to say. Now, your valet will return to trim your hair any moment, so I will off." Toad reached up and felt the nape of his neck. He hadn&apos;t planned to have his hair trimmed. He didn&apos;t know if his footman-turned-valet could accomplish it without making Toad look like a pincushion. He turned his head to look in the pier glass to see if it were really required. "I will send in the elder Blakeley with his shears to train your man and see you in the drawing room in half an hour. 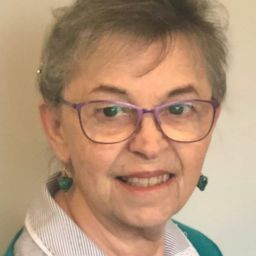 Now, I am off to embarrass myself giving advice to my daughter, who is not nearly old enough to be considered marriageable, during which discussion, I will assuredly weep and wail like an animal in a trap." The duke raised one eyebrow. "No, of course not. That would hardly be ducal." "I told myself I would stand as the antidote to Mother and Father weeping about how grown up you are," Toad said, sticking his head into his sister&apos;s sitting room, "but I am not certain I can when you look so grown up." She had been pacing, tugging at the curls dangling at her throat, pure fear animating her face. He strode into the room and pulled her toward the couch. "I cannot sit down. I&apos;ll wrinkle." "That is the silliest thing I ever heard." He pulled her to a seat. "You are not going to spend the entire evening standing for the sake of your dress. Now, then..." He pushed a lock of hair out of her eyes and tucked it into her coiffure, then took both of her hands in his. "You have naught to fear, my dear. You are quite the loveliest girl in London tonight, and I am reliably informed Prince Albert himself is below stairs, awaiting you in the ballroom with Her Majesty." At that, her face went as white as her gown. "I cannot dance with the prince, David. What if I misstep? Mama should never have arranged this. I know I made a fuss about not dancing with Papa, but I take it all back. You can open the ball with me as well as the prince." He chucked her under the chin, the tears he&apos;d sworn to avoid welling up anyway, at the sweetness of her. "You know as well as I, one does not offend royalty, especially when they provide a boon and are standing in your ballroom. You will dance perfectly. You made not one false step in all the practicing we did. You are going to make the duke and duchess very proud. And me, of course." A throat clearing drew their attention to the doorway, where Piero d&apos;Alvieri was standing arm&apos;s length into the hallway. "I am sorry for interrupting. I slipped past the footmen to make my way to the heir&apos;s suite, but I heard your voice." He took another step back. "I should leave you. I will see you in the ballroom, Abersham." "You need not go," Almyra said, and Piero took two steps forward, bringing his toes into the room. "My sister would like to use you as a reason to delay the inevitable, d&apos;Alvieri. Lady Almyra Northope, please allow me to present Lord Piero d&apos;Alvieri, who will be acting as my second, should I need to kill any importunate suitors."